As promised, we are showcasing the best photography from our Circa 52 photo shoot. The entertaining designs and cool color palette of the Circa 52 prints truly came to life when we set everything up for the shoot, and the sun started to shine on the yard. The collection was designed to be free spirited and fun for all ages with whimsical vehicles, spaceships, robots and woodland creatures that are unified with a distinctive contemporary palette. 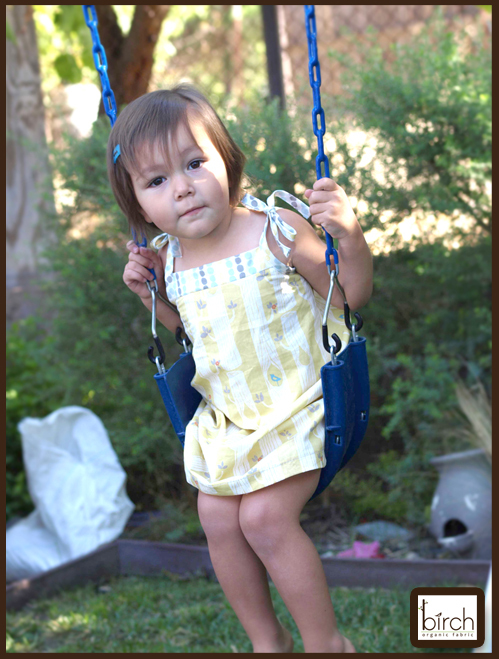 The children’s sense of adventure truly brought the shoot to life. They looked adorable in the darling clothing that had such sweet little details. They had a blast rolling around on the bean bags, hiding in the tee pees and roasting marshmallows. Textile Standard). We love our planet, believe in living green, and know that together we can make a difference, one yard at a time. We had such a smashing day, and it was work! Now, the GIVEAWAY…How cute is this bag? At Quilt Market, our booth is #1548-1550, we will be giving away this bag to the FIRST 20 customers that buy 10 or more bolts of Birch Fabric…and to one lucky winner from this post! please be sure and leave your email address. the winner will be chosen by random number. If you would like to find out more about Birch Fabrics please visit our website. Love the spaceships in cream! Please enter me in the giveaway! I would love to be entered to win the tote! !Woodland Party cream caught my eye-love the bunting. P.S. Just posted about the giveaway on my twitter feed! My favorite print is Trees. And I would love to be entered in the giveaway! Thanks! The pebble lines pumpkin is calling my name. I'd love to be entered in the giveaway. OMGosh that bag is so cute! I hope I Win. omg that first photo is sooo cute!! I would love to win some fabric! My favorite is the traffic madness. Love the scooters! Oh definitely happy campers is my favorite print…we are camping people!! Love this tote! Definitely the fox and pennants! What a happy print! 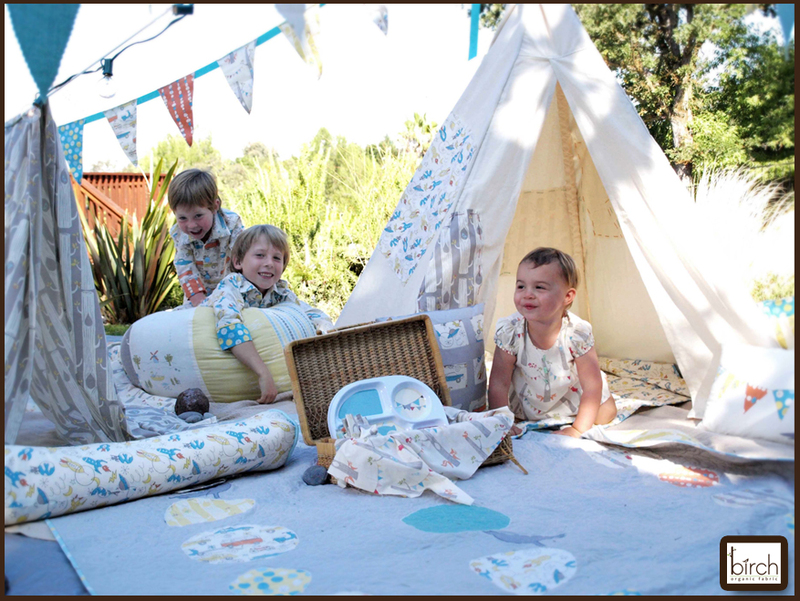 Definitely the one with the trees and the bunting….I am in LOVE with it, and will be buying some for sure! I like the Space print! Would live to win that great bag! I love the woodland friends cream print! Count me in your giveaway please! What a fun photo shoot. I like the starburst print the best. What a nice line of fabric! I think my fave would be the Woodland Party-Cream. Very cute!! id love to win the tote! the pebble lines is my favorite, please dont make me pick between the awesome colors! Fox and pennants for me too! Too, too cute! The bag is so wonderful! Best of luck at Quilt Market. I'd definitely love to win such a cute bag. 🙂 My favorites are the rockets and woodland friends prints! I love the one with the cars! So cute! Would love to win this lovely bag! I love the starburst sea! I would love to win this bag. Your fabrics are delicious, but if I had to choose my favourite it would be Woodland Party. I would love to be going to be going to Quilt Market and buying 10 bolts but that won't be happening so please enter me for the chance to win a bag here! Thanks so much! I love the woodland party and woodland friends. I know some kids who would truly love to wear those clothes! I love the pebbles! Since I was born in '52, I think I should win this one! Tree strips in shroom is my fav! This bag is lovely. Please enter my name in the drawing. My favorite fabric from the collection is Woodland Party with the trees and animals. So cute! Thanks for the wonderful giveaway – I'd love a chance to win the cute tote! 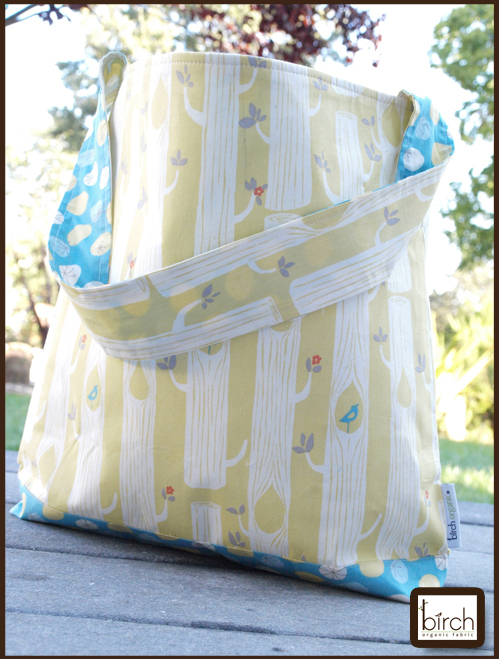 After this post the two fabrics you used in the tote are so totally my favourites! The yellow one first of course but the blue one complements it so wonderfully. What a beautiful tote bag. I'd love to win it. 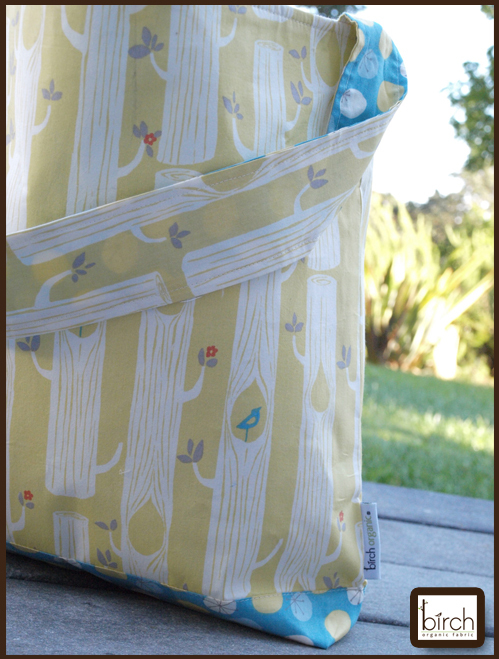 I love the woodland party print, and could use a new cute tote bag! The cars print is adorable but I love all of them! I love the tree stripes in shroom!!! I like the cars cream and the trees sun best. But I do like the others aswell! Thanks for the chance! I would love to be entered in the giveaway! The Woodland Friends is my favorite. How can you not like the buntings?! Love the fox and pennants! Thanks for the giveaway! I love the cars print in cream. So cute! Woodland friends is definitely a favorite. And the bag is great! Thanks for the chance to win. I really like the sunburst in teal, it catches the retro feeling perfectly. And the bag is really cute, would love to win. I think Woodland Friends is just adorable. Thanks for the opportunity to enter your great giveaway! my favourite fabric from this line is the cars in cream…….love the orange VW campervan!! The pebble lines in pumpkin is a favorite. Please enter me into your lovely giveaway. Please have a safe and happy Market trip. 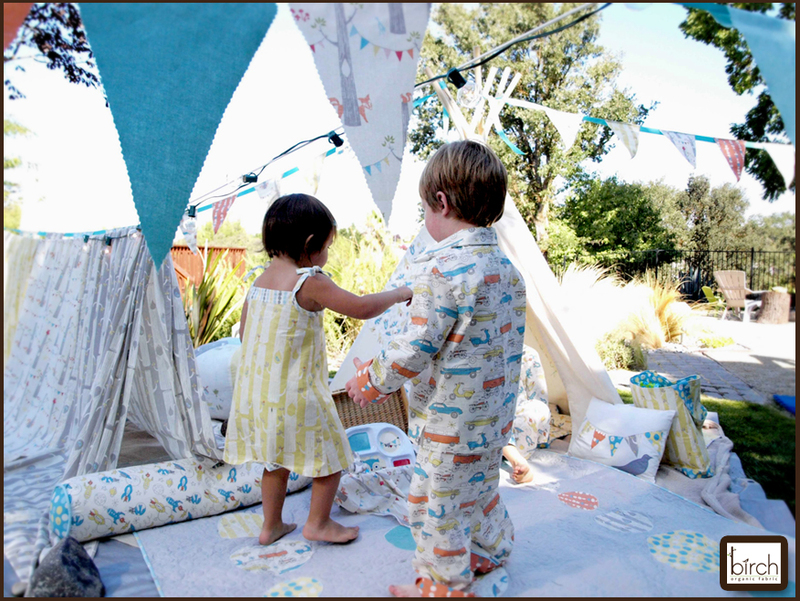 LOVE your lines of fabric especially the one with the campers!! Big Fan! I like the cars fabric the best. Thanks for the giveaway! My favorite print in the Circa 52 collection is the cars, vans and bicycle print! OMG! The cars are my fav! Took me right back to the '50's and '60's!! Ah, I love the woodland party best I think, and I'd absolutely LOVE the bag, my old shoulder bag is falling apart. All the prints in this line are gorgeous and I see at least a fat quarter bundle in my future. But my fave? Forest friends in cream, I think! the prints are beautiful and i like the cars the best. Thanks! This is such a pretty bag. I hope I win. 🙂 My favorite would have to be the cars on cream. Thanks for the giveaway. Hello! I LOVE the Woodland Friends Cream and the Cars Cream (we have a VW Vanagon). The tote is adorable… I'm keeping my fingers crossed! Thank you for the giveaway! I love the sneak peeks yove been showing us! 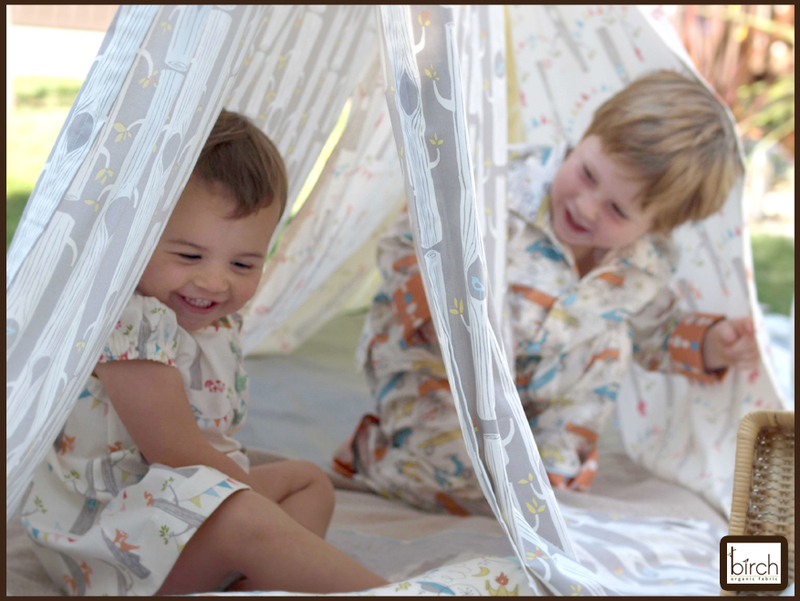 My favorite print is woodland party in cream – who can resist that bunting? Love the bag – They're all great, but Woodland party is my favorite. Thanks for sharing! 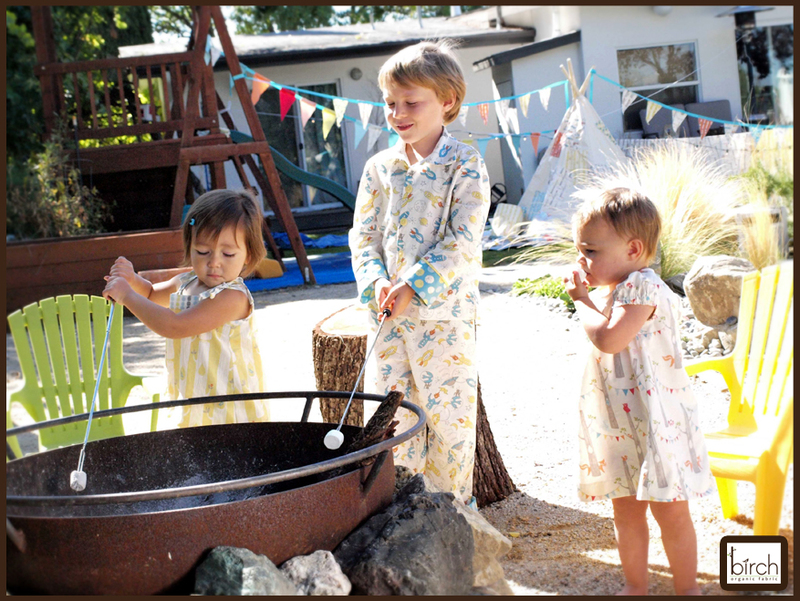 I really like the woodlands party- so very cute. Thanks for the chance. I pinned the rockets months ago on my Pinterest… by far my favorite! I like Woodland Party best! I would love to win the giveaway! My favorite is the woodland friends cream print- too cute! What a wonderful giveaway! My favourite is Tree Stripes Shroom. Reminds me of the birch trees in my area when I was growing up. I'd buy 10 bolts if I could! LOL, my husband might question the credit card bill, though! Will have to settle for the chance to win this lovely tote! I quite like the cruisers, him and her…but the woodland certainly has appeal too! Thanks for including me in the opportunity to win this tote, it's so remarkably "tote" -able!! twitter.com/#!/poppyinpink for my comment about your lovely fabrics and giveaway. The cars … no, the pebbles … no the cars … no the pebbles. Oh, crap. I love them both. And the other prints, too. So nice! Cute bag and I love the pebbles fabric. Woodland Party is my favorite, because that's exactly what it looks like! I look at it and think, "I want to be there!" Great giveaway! I love the woodland friends print so much. Woodland Party is my favorite… I love the foxes and the party banners, so cute. Lovin' woodland party! Please enter me in the giveaway! I love the Woodland Party with the bunting! Dots Teal is my favorite of that line of fabrics! love the fabric that is used for the bag-seems just right for this time of year. I love the Starburst Teal and would love to enter. I like the "trees. " I agree with you that the bag is cute and would love to win it. Thanks for the opportunity. I love the starburst teal! Wonderful bag, I love it!!! love the starburst teal, thanks! I love the little print with the VW bus, camper and trees. So cute! I love the Woodland Party (cream) – very cute! Please enter me in the giveaway. Wonderful giveaway and fabrics! I like the Woodlands Party the best. I like Rockets and Woodland Party best – couldn't pick just one! Adorable! The colors would make a beautiful quilt for my niece or nephews. Please enter me in the give away. I love the cars and scooters. They are so like the vehicles that were popular while I was growing up. Its a real toss up between the cars and woodland. I love them both. They are just so sweet! Please enter me in the give away! I absolutely love the trees print with which this tote is made. It is so beautiful! I'd love to win this bag, would carry it everywhere! My favourite fabric is the cars. I'm making my grandson some pants from it. I love the print with the cars and bikes. the woodland party is the cutest! The bag is beautiful! And I also love the rockets, so cute! Please enter me, thanks! I love JM-12 the cars in cream print! I love the Starburst Teal. It is cute, and my favorite print too, but in the grey. Thanks! Cars Cream – reminds me of the cars of my adolescence! Such cute fabrics. I like the Space in cream. My little nephew loves anything to do with space. Thanks for the giveaway. What a fun collection. I'm loving the Woodland Friends, Space in cream and Starburst in the teal. It was hard to just pick one. I'd love to be entered in the giveaway. Thank you for a chance to win. I'm a follower and I tweeted and RTed about the giveaway. Thank you for a chance to win. I LOVE this fabric!! and of course the bag, too!!! I love everything Birch! My fave is the woodland friends cream print! Please enter me in the giveaway. Darn! Looks like I missed the deadline, but I just received the email about the giveaway today. Gotta love woodland party with the cheeky fox and wise owl… Thx for the chance! I think woodland party is my favorite, love the bunting. What a beautiful line! 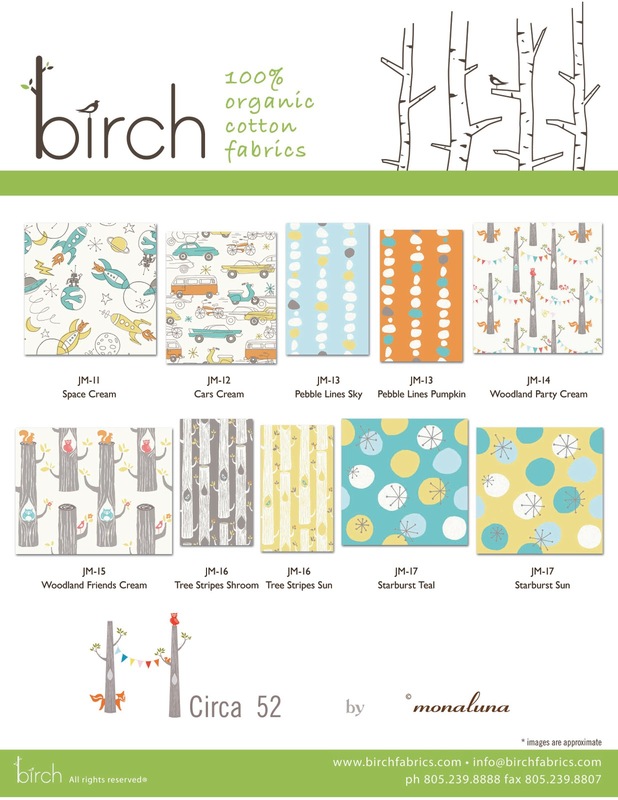 I especially love the birch tree print – we have a lot of birches in New Hampshire! Thanks for a chance to win this wonderful bag. Fat Quarter Bundle Winners Announced!